“It’s so important to get a big start coming out the gate, and a well-known brand coming out of the gate, because it will set the tempo going forward and really raise the expectations of the marketplace,” said Rob Prazmark, co-founder of 21 Marketing and the doyen of American Olympic sponsorship sales. "Full eight-year deals encompassing the USOC and LA 2028 will likely average up to $400 million, according to Rob Prazmark, CEO of 21 Sports & Entertainment Marketing Group Inc. He represented similar joint ventures for the last two domestic Olympics, the Atlanta games in 1996 and Salt Lake City games in 2002." “There’s a little hand-on-heart to this, but there’s also a tremendous business decision Allianz is making,” Prazmark said. "It showed up commercially as well, said longtime Olympics sponsorship salesman Rob Prazmark, who said Pyeongchang is probably the second-least commercialized Games he’s seen next to Sochi. “Geopolitical issues cross over to international marketing because decisions have to be made one year in advance and large multinationals are risk averse,” Prazmark said." “There is no precedent in what is about to happen because there has never been a 10-year run-up of confusion and uncertainty,” said Rob Prazmark, co-founder of 21 Marketing and one of the original architects of the modern Olympics sponsorship system. "One marketing expert, Rob Prazmark, chief executive of 21 Sports and Entertainment, who attended the Pyeongchang Games, said KT’s efforts reminded him of how Philips used the 1992 Games in Albertville to introduce high-definition TV broadcasting, but it took many more years for HD TV to catch on." 21 Marketing founder Rob Prazmark is in Pyeongchang for his 18th consecutive Olympic Games. In a 15-minute conversation with Ben Fischer, he talks about the noticeable absence of western business VIPs, the lack of the NHL and what the local organizing committee has done to nevertheless make it a successful, very local-feeling Games. “A year ago, when people started making plans, there were heightened tensions with North Korea,” said Rob Prazmark, president of 21 Sports and Entertainment Marking Group. He’s done marketing for decades for the International Olympic Committee, various corporate sponsors and cities bidding for future games. Fans wondered if the games would even happen, he said. Could they get a refund? Corporate sponsors that might normally fly over large delegations of employees and high-ranking board members held back. The next two Olympics are going to be in Tokyo and then Beijing, making it three consecutive games in Asia. Prazmark predicts those Olympics will benefit because a core group of folks won't want to miss out again. Olympic athletes love McDonald’s. But its role in PyeongChang will be the smallest in decades. Veteran Olympic salesman Rob Prazmark, founder of 21 Sports & Entertainment Marketing, suggested that other big sports events, like the Super Bowl and Daytona 500, are taking away some of the buzz in South Korea. But he nonetheless predicted that NBC would meet its ratings guarantees, particularly if U.S. athletes perform well. Unless a material number of those members take the same path sponsors did and abandon USAG, the organization will survive, said Tom Shepard, a partner at 21 Marketing and Chair of USA Pentathlon. “When you have big numbers as an NGB, it’s not that difficult to generate income,” Shepard said. “That’s a good thing, for the Olympic Winter Games, that they are able to change up the sport to appeal to a younger and a different demographic,” he told Reuters in a telephone interview. ”I think interest in Alpine grows because of the addition of different or extreme sports -- or sports that are really most popular with a younger demographic. The whole business of Alpine is growing." ”She is a marketer’s dream,“ Robert Prazmark, a former consultant with the IOC and USOC and now President and CEO of 21 Sports and Entertainment Marketing Group, told Reuters. ”She is a very interesting blend. ”Aside from being extremely successful she has the added benefit of being a tad edgy, in an edgy sport which adds to mystique." Rob Prazmark, who has negotiated corporate sponsorship deals worth hundreds of millions of dollars for the Olympics during the past three decades, put it even more bluntly. “For the American viewing audience, it is about Americans winning,” he said. "LA is a homegrown market, a U.S. market for these companies that gives a tremendous boost to the likelihood that they will continue to stay on as sponsors," said Rob Prazmark, chief executive of 21 Sports & Entertainment Marketing Group, who helped create the top sponsors program with the IOC. The high­demand situation is a far cry from the early days of the IOC global sponsorship sales in the 1980s, said Rob Prazmark, a veteran of Olympic sales. “In those days there were only three global marketers: Coke, Kodak and Adidas,” Prazmark said. “I kinda picked that up about a year ago, just kind of unhappiness on both sides,” Prazmark says. “Certain strategies eventually run out of steam. New leadership comes in and makes different changes. “To be a FIFA partner AND an Olympic partner and they’ve also got rights in the U.S. with the NFL – it’s a crowded calendar to pump in the money to support all of that stuff,” he continues. With Budapest's withdrawal from the 2024 Summer Olympic Games bid city process, Rob argues that Los Angeles and the IOC are faced with a catch-22. “On a straight apples-to-apples comparison, the USOC distribution from a new-era TOP deal will far exceed anything the USOC could get on their own,” said veteran marketing salesman Rob Prazmark, who evaluated TOP for the IOC in 2009. “Our potential to be on the podium for Tokyo is very good and we are excited about what we have in the hopper," Shepard tells Around the Rings. Veteran Olympic sponsorship salesman Rob Prazmark said he saw upside in possibly waiting for '28: a strong bargaining position. If the IOC wants L.A. to take the ’28 Games rather than bid against equal competitors, it ceases to become a contest and instead is a negotiation. Dana gives her thoughts on the NBA--Gatorade partnership and the League's impact on sports marketing. We are so proud of Tom's appointment as Chairman of USA Pentathlon! Tom rises to the Chairmanship after serving as a USAP executive board member and succeeds Barry Matchett as Chairman. Barry will remain on the USAP board and is thanked for his years of service as USAP Chairman during a time that he presided over extensive growth of the organization. “If their revenue projections are being hit and they still have open categories, for me, that represents upside,” Prazmark said. “There’s a misconception that because the Games are way off shore that the American consumer interest will wane, and that’s not the case,” Prazmark said. “We as Americans love to support the teams no matter where they are." U.S. sports marketing executive Rob Prazmark says the Clinton connection is an advantage for Los Angeles while Trump may be a liability. 21 is delighted to have supported Thorne's multiyear deal with U.S. Soccer to serve as its official nutritional supplement partner! How much are recycled naming rights worth? The USOC’s willingness to accept less reflects two factors, said veteran Olympic sponsorship salesman Rob Prazmark: Its greatly improved financial condition compared with the 1990s and 2000s, thanks in large part to NBC broadcast rights; and its motivation to remove any friction from the Los Angeles bid in light of the extraordinary stakes for the American Olympic movement. “The (football) fan base is so huge and crosses almost all demographics,” explains Rob Prazmark, CEO 21 Sports & Entertainment Marketing Group. 21 is so incredibly proud to have helped conceive of and develop the award winning Olympians Reunion Centre in Rio! Rob Prazmark, founder of 21 Sports & Entertainment, said the economic collapse mostly hurt the less obvious signs of sponsor activity, such as hospitality and ticket packages. Also, Nicotero, said, sponsor showcases were moderated, not eliminated. "If you just buy the sponsorship and think that your job is over because you now have the rings, that's where companies fail," said Rob Prazmark, founder and CEO of 21 Marketing. "I can understand the scare about the Zika virus," said Rob Prazmark, president of 21 Sports & Entertainment Marketing and a leading broker of Olympic corporate partnerships. "And when you have a souring market, which Brazil has become, the concept of entertaining at a high-profile event can also go sour." “Every Olympic city has its share of difficulties, whether it’s drivers not understanding bus routes, routes being changed, difficulties getting through security ... but this one promises to have more of those challenges,” said Tom Shepard, a partner at 21 Sports & Entertainment Marketing. “I don’t recall at any time over the past 30 years that the general public could ring up an official ticket broker for the Olympic Games and buy a single ticket to an opening or closing ceremony, ever, at near or close to face value,” said Rob Prazmark. 21 Sports & Entertainment, Ernst [and Young]’s marketing agency, established the collaboration with the WOA after first helping negotiate the Rio 2016 sponsorship in 2011. Former Visa marketing executive and 21 partner Tom Shepard played a key role. On the ground, GMR Marketing is advising on the hospitality and activation details. With help from 21 Marketing to review its sponsorship portfolio, NYRR created a premier sponsorship and four second-tier sponsor positions dubbed “foundation” partners. Their goal was to demand a higher rights fee by redefining the deals as partnerships with the club’s yearlong schedule of events, not just the marathon. TCS took the premier spot, and United Airlines and Airbnb bought the first two foundation-level deals. Will USOC give nonsponsors break? Listen to Scott Rosner, host of Wharton Sports Business Radio, interview Rob Prazmark. 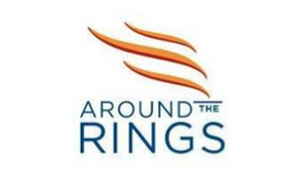 Rob discusses the 2016 Olympic Games in Rio, the United States Olympic Committee's decision to withdraw Boston's 2024 Olympic Games bid and Beijing being awarded the 2022 Olympic Winter Games. 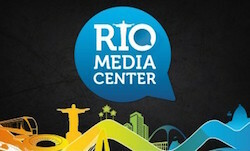 “Rio is in a great situation because so many people want to go to Rio,” said Tom Shepard, a partner at 21 Marketing and a former Visa Olympics marketer. "You’d rather be in Beijing rather than whatever that other place was,” said Prazmark, adding that his client Johnson & Johnson did “phenomenally well” in China during the '08 Games and many others did too. 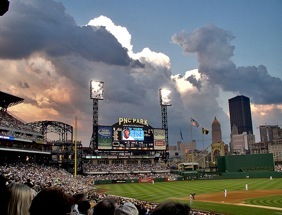 Good Question: Are Stadium Naming Rights Worth It? “Some companies do it for local pride and what it does for the community,” said Rob Prazmark, CEO and Founder of 21 Marketing, a sports and entertainment marketing firm. He also said companies can use the naming rights as a recruiting tool to attract the most talented people. Listen here for Rob Prazmark's view on how FIFA sponsors will respond to the corruption scandal surrounding soccer's governing body. "These sponsors put a lot of money into associating with the World Cup," Prazmark said. "They'll give them a little bit of time to get their house in order." "When Tiger faded, the interest in golf began to fade," said Rob Prazmark, president of 21 Sports, a Connecticut-based entertainment marketing company. "Spieth could be the next great inspiration." Rob Prazmark, an original co-developer of the TOP Program for the IOC, challenges other corporations to think big like Toyota. “We’ve been involved in some massive deals for the IOC and FIFA, worth some hundreds of millions of dollars,” Prazmark told ATR in an interview. Some consumers' desire to see sponsors sever ties is a sign they hold the companies they buy from to high standards, said Rob Prazmark, president of sports marketing firm 21 Marketing. "That is the reason they would like to see these companies back off and send a very strong message to the NFL," he said. "The NCAA will appeal the O'Bannon ruling, but regardless of the outcome, the case is hugely significant, says 21 Marketing CEO Rob Prazmark. He likens it to baseball star Curt Flood's 1972 Supreme Court case, which ushered in the era of free agency." "Nike will probably promote the Jeter brand as long as it can," says Rob Prazmark, president of 21 Sports Marketing. "It's like corporate responsibility and smart marketing rolled into one." Read about the details of 21's involvment with Airbnb's foundation-level partnership with New York Road Runners and the 2014 TCS New York City Marathon. Nathan Schrimsher and Margaux Isaksen were far from winning the mixed relay event for men and women at the World Cup Final of modern pentathlon at the Sarasota Polo Club on Sunday. That honor went to Russia’s Ekaterina Khuraskina and Aleksander Lesun, who handily won the men’s modern pentathlon competition on Saturday in front of an excited crowd. Bringing name recognition to the nation’s best pentathletes is an important part of creating momentum going into the 2016 Olympics in Rio de Janeiro, said Tom Shepard, a USA Pentathlon board member. “After the Winter Olympics there is a shift in focus to the Summer Olympics,” Shepard said Sunday. “You are starting to see now more interest from the general public, the sponsors, and even the Olympic Committee, who is going to make sure people know who the potential podium people could be." Southwest Florida takes center stage Thursday as Olympic-level athletes converge to compete in the world cup final event of the Modern Pentathlon, the oldest sporting event in the history of The Games. "The women's event starts Friday at 7:30 a.m. The men's competition, Saturday at the same time. Sunday is the mixed event, which also starts at 7:30. "Hosting competitions here three years in a row was definitely intentional," said Tom Shepard, a board member of USA Pentathlon. "This is a lesserknown sport and we really want to change that." The International Olympic Committee has set a new price point for TOP sponsorships, nearly doubling the cost of four-year global sponsorships from $100 million to $200 million. SBJ Olympics writer Tripp Mickle and Tom Shepard, former head of Visa's sponsorship program and current partner at 21 Marketing, discuss what the Sochi GamesSBJ Olympics writer Tripp Mickle and Tom Shepard, former head of Visa's sponsorship program and current partner at 21 Marketing, discuss what the Sochi Games are like, how they have differed from other Olympics, how sponsors are treating them and who's doing well on the ground. are like, how they have differed from other Olympics, how sponsors are treating them and who's doing well on the ground. The America's Cup win is great for America and terrific for sponsor Oracle, but the biggest winner may be the billionaire owner whose personal brand just got the largest lift of all: Larry Ellison. "Oracle is really code for Ellison," says Rob Prazmark, CEO of 21 Marketing, which specializes in sports marketing. "Ellison uses sailing and his America's Cup victories to further Oracle's business relationships." The International Olympic Committee plans to increase the price of sponsoring The Olympic Partner program, ending a decade-long period where official Olympic sponsorships averaged $25 million a year. The price increases would kick in for the 2022 and 2024 Olympics, said Timo Lumme, IOC television and marketing services managing director. The organization has seven TOP sponsors committed to 2020 and will be working over the next year on renewals with Panasonic, Samsung and Atos Origin, which are all signed through 2016. Excerpts from Rob Prazmark's upcoming book, "The Olympics Don't Take American Express", including 21's deal with Jerry Jones and the Dallas Cowboys. Coming from the depths of the controversial and sudden cancellation of last year’s ING New York City Marathon in the wake of Hurricane Sandy, some would say there was really nowhere to go but up for event organizers the New York Road Runners. Accordingly, about 60 business partners at last week’s NYRR Partner Forum for the 2013 marathon were reminded time and again how last year’s events, when the race was canceled just two days before it was scheduled to be run, combined with the tragic bombing at the Boston Marathon this spring have produced an unprecedented focus on the NYC Marathon’s renaissance. VIP Sports and Entertainment LLC, the partnership behind the new multisport stadium at One Loudoun in Ashburn, has landed a naming rights sponsor for the 5,500-seat ballpark. The Loudoun Hounds and Virginia Cavalry FC will play their games at Edelman Financial Field, named for Ric Edelman’s Fairfax-based Edelman Financial Services. Tom Shepard and Rob Prazmark of 21 helped to develop the strategy implemented by Ernst & Young for the Ernst & Young Women Athletes Global Leadership Network. 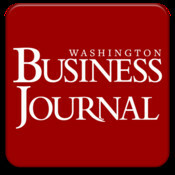 Forbes Magazine highlighted these trail blazing efforts in a recent article on March 12, 2013. Dany Berghoff tells Rachel George of the USA Today his thoughts on the effects of Caleb Moore's tragic death at the 2013 X Games in Aspen, Colorado. Moore was fatally injured performing a daring snowmobile stunt at this year's event and industry experts discuss the implications for the future of extreme sports events. Can the A-Rod Brand Survive This Latest Curve Ball? 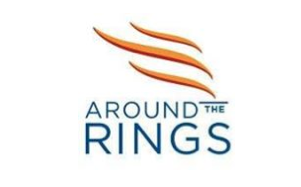 Dany Berghoff of 21 Sports and Entertainment Marketing discusses the implications of Alex Rodriguez's involvement in Major League Baseball's latest doping scandal. The full ramifications of the University of Maryland's stunning announcement Monday that it will join the Big Ten are still being digested, but one thing's certain: A lot more eyeballs will come to the businesses that partner with the Terps. Maryland sports teams will join a conference that includes not only nationally elite programs in major revenue-generating sports, but several of the largest student bodies and alumni networks in the country. Also, several media outlets are reporting that the Big Ten will also add Rutgers within days. If true, that would give Maryland's new conference schools in Chicago, New York City and Washington — three of the country's top eight media markets. Liberty Mutual has signed on as the official property, life & casualty insurance company of the USOC, replacing Allstate. The deal announced today will cover the '14 Sochi and '16 Rio de Janeiro Games. The agreement is valued at more than $10-15M over that period and makes Liberty Mutual one of the highest level sponsors of the USOC alongside AT&T, BMW and others. It is a modest increase from the $8-10M over four years that Allstate paid. 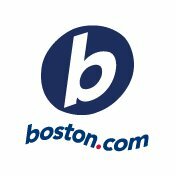 Liberty Mutual will not be able to activate its sponsorship until next year but wanted to announce the deal early because the company is in the middle of celebrating its 100th anniversary. The second America’s Cup World Series regatta in San Francisco was part of a weekend billed as “event-ageddon” and proved a strong draw for the many people who flocked to the city. According to Mayor Ed Lee, who visited the America’s Cup World Series on “Super Sunday,” the America’s Cup showcased the city in an international setting. The correlation between winning and revenue is self-evident for most of the Washington Nationals' business operations. Ticket sales, merchandise sales and television advertising revenue all grow in tandem with wins. An unsold asset — naming rights to Nationals Park — also looks much more valuable than it did six months ago, say sports marketing experts I spoke with about 12 hours after the Nats clinched their first-ever division title and Washington's first trip to the playoffs since 1933. Four years ago, the Beijing Games ended with the city’s mayor handing an Olympic flag to the relatively unknown mayor of London, the mop-headed Boris Johnson. The flag tangled around him, and viewers worldwide, having just watched a polished closing ceremony that made Cirque du Soleil look like a three-ring circus, collectively wondered how London and its unkempt mayor could follow in China’s exacting footsteps. London (written by Jon Saraceno/USA Today) -- The 30th Olympiad is guaranteed to generate billions of dollars in revenue for the London Games' ruling body, the International Olympic Committee. Despite the grandiosity of the Games, and the fame and fortune it brings to some, simmering resentment among U.S. Track and Field athletes has boiled over. They have launched a public campaign against what they think is a restrictive, income-eliminating IOC policy regarding "ambush marketers" that bans mention of individual, non-official Olympic sponsors during what amounts to a one-month blackout period - but also when worldwide exposure is at its maximum peak. Four years ago, on the day after China mesmerized the world with the synchronized beat of 2,008 drums, Visa’s top marketing executives and London Olympic organizers gathered for dinner at a traditional Chinese restaurant in Beijing’s financial district. It was an informal gathering, but it was an important first step in Visa’s preparation for this week’s London Games. The International Olympic Committee’s TOP programme has long set the benchmark for sports sponsorship but how should it evolve in the future? Writing exclusively for SportsPro, Olympic sponsorship expert Rob Prazmark sets out his proposal for change. For star players Kevin Durant and Russell Westbrook of the Oklahoma City Thunder, Tuesday night’s opening game of the NBA finals will celebrate a long climb to the top of the basketball heap. For team co-owner Aubrey McClendon, whose company’s name adorns the Oklahoma City arena, it may be nice just to have the spotlight on someone else for a change. Imagine a Winter Olympics in 2022 in Reno, Lake Tahoe and Sacramento. The downhill on Heavenly Mountain, starting in Nevada and ending in California. Figure skating and hockey in Sacramento. And a bit of nostalgia at Squaw Valley, which hosted the 1960 Winter Games on the California side of Lake Tahoe. Rob Prazmark discusses the impact of social media and mobile platforms on sponsorship packages for London 2012, and explains the effects of "ambush" and "parasite" marketing -- as well as new rules in place to prevent it. 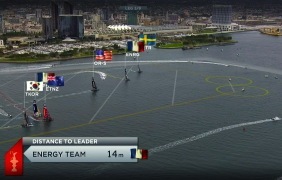 America’s Cup groundbreaking use of LiveLine, the technology that makes competitive sailing exciting to home viewers worldwide, has been awarded an Emmy for extraordinary technical innovation. LiveLine technology, which is used for American football and NASCAR car racing broadcasts, is being recognized for making the sport understandable to new fans while assisting race management to run races. Whatever happened to [Insert Corporate Name Here] Park? 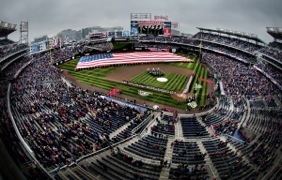 When the Washington Nationals opened their new stadium on the Anacostia River four years ago, “Nationals Park” was widely understood to be a placeholder, to be used only until the team sold naming rights to some corporate brand for upward of $10 million a year. If you follow sports in the Midwest, you can’t get away from the Fifth Third name. The bank’s name is plastered on stadiums and sports facilities across the region. Three minor league ballparks – homes of the Dayton Dragons, West Michigan Whitecaps near Grand Rapids and the Kane County Cougars in suburban Chicago – in the 16-team Midwest League feature Fifth Third’s name. So does the Toledo Mud Hens’ ballpark. Beyond that, the University of Cincinnati plays basketball at Fifth Third Arena. The U.S. Olympic Committee says the addition of new sponsor Citi shows how improved relations with broadcaster NBC is attractive to new sponsors. NBC and the USOC have signed Citi as an official advertiser and sponsor for the ‘12 London Games. Sources valued the media-driven deal at $30M. The bank will be the official bank partner of the network and the ’12 U.S. Olympic team. Citi plans to use the partnership to promote its 200th anniversary next year. Its rights include retail, corporate, commercial and investment banking. The deal is the second of three NBC and the USOC hope to cut in the banking category. TD Ameritrade today announced a media buy with NBC and sponsorship of the USOC for the '12 London Games. The deal makes TD Ameritrade the USOC's first official online brokerage. Sources valued the deal, which is primarily a media buy, at more than $20M. It is the first of three deals NBC and the USOC hope to cut together in the banking category. Last fall, the broadcaster and Olympic organization partnered together for the first time on a joint-marketing effort in the banking category. As football fans gear up this Super Bowl Sunday for America's biggest sporting night, one Greenwich resident will be enroute to London to focus on a whole different ball game: The 2012 Olympics. Rob Prazmark, a 30-year town resident and founder and CEO of 21 Marketing, is regarded as one of the top sports and entertainment marketers in the world. He is largely credited with making the Olympic Games the brand that it is today, with perhaps his biggest claim to fame coming in the 1980s when he dubbed Visa the card of the games, branding the slogan "The Olympics don't take American Express."